For other uses, see Integral yoga (Satchidananda). Integral yoga, also called supramental yoga, is the yoga-based philosophy and practice of Sri Aurobindo and The Mother (Mirra Alfassa). Integral yoga finds all life conscious or subconscious a yoga, defines the term yoga as a methodised effort towards self-perfection by the expression of the secret potentialities latent in the being and highest condition of victory in that effort - a union of the human individual with the universal and transcendent existence which is seen partially as expressions in humans and in the cosmos. As a yoga idea, that Spirit manifests itself in a process of involution. The reverse process of evolution is driven toward a complete manifestation of spirit. According to Sri Aurobindo, the current status of human evolution is an intermediate stage in the evolution of being, which is on its way to the unfolding of the spirit, and the self-revelation of divinity in all things. Yoga is a rapid and concentrated evolution of being, which can take effect in one life-time, while unassisted natural evolution would take many centuries or many births. Sri Aurobindo suggests a grand program called sapta chatushtaya (seven quadrates) to aid this evolution. The Materialists : He finds materialists would only accept the existence of matter or force and deny anything else, & would in their argument find anything which is not knowable (that which would escape once thought and speech) as inert or a passive, silent Atman, an illusion or a hallucination, this affirmation by the materialists is based on the association of the real with the materially perceptible, and becomes the basis of his assumption on all his arguments. For which Sri Aurobindo finds that the notion cannot give an impartial reasoning. Due to the above notion the materialists would refuse any further inquiry, thus never having a satisfied understanding. He recommends that the only way to reconcile the materialistic mind with the other truth would be to cross over the layers of inner consciousness either by objective analysis of life & mind as to matter or by subjective synthesis and illumination, arrive at a state of the ultimate unity without denying the energy of the expressing multiplicity of the universe. He finds that the current World is in a state of rationalistic materialism, & finds that this rationalistic movement has served human kind in a positive way, by purifying intellect from the dogmas, superstitions clearing path to a better advancement of Humanity. Sri Aurobindo finds that root of this Scientific movement to be a search for knowledge, due to this root the movement would not come to a halt and its progress is a sure sign that it would carry forward in reaching the other part of knowledge which vedantins had found in a different way. The Ascetics : would only accept spirit/Atman and terming the remaining as mechanical unintelligent substance or energy, leading to believing the reality to be an illusion of senses. Sri Aurobindo finds when the mind retracts from external activities and has experience of silence, a powerful convincing experience that only the pure self or non-being is real leads them to disregard the outer world. he finds this as an revolt of spirit on matter which was made famous by Buddhism affirming that it is impossible to find a solution in the world which is termed to be dual in nature, but to escape into Nirvana, Brahmaloka or Goloka as beyond. He finds that this approach is slowly coming to an end and had its importance as the part of evolution, but is quite different than what was present during Vedic period. Integral yoga's take on Reality: Sri Aurobindo finds that a compromise between the two approaches would be a bargain & would not be a true reconciliation, but only a unified Spirit & Matter would be a basis for Integral yoga's path to understanding of reality. He finds the non being at one end which seems opposite to the manifested universe are not opposites which would deny other's existence, but rather are different states of reality with opposite affirmations. Sri Aurobindo finds that the highest experience of the Reality to be a conscious Existence, a supreme Intelligence, Force and a self-existent Bliss; He finds a liberated intelligence & experience would bring about this highest understanding of the reality. Involution is the extension of Spirit, the Absolute, to create a universe of separate forms. Being manifests itself as a multiplicity of forms, meanwhile becoming lost in the inconscience of matter. The first manifestation of Spirit in the process of involution is as Satchitananda, and then as Supermind, the intermediate link between the higher (Spirit) and lower (matter, life, and mind) nature. Material- a submerged consciousness concealed in its action and losing itself in the form. Vital- an emerging consciousness, a consciousness half delivered out of its original imprisonment which has become of vital craving and satisfaction or repulsion. Mental- an emerged consciousness reflecting fact of life in a mental sense, perceptive and ideative. It modifies the internal and attempts to modify conformably the external existence of the being. Above Mind proper lie various higher levels of Mind, which ascend toward Spirit. Through evolution Spirit rediscoveres itself as Spirit. Evolution follows a developmental trajectory from the original inconscience of matter into life, to mind, and then to spiritualized mind, culminating in The Supermind or Truth Consciousness. Evolution is teleological, since the developing entity contains within itself already the totality toward which it develops. It is not a mechanistic or deterministic teleology, but a "manifestation of all the possibilities inherent in the total movement." The goal of Integral yoga is to become aware of the Divine, to integrate the physical, mental and spiritual aspects of ourselves, and to manifest the Divine at earth. According to Sri Aurobindo, all life is Yoga, while Yoga as a sadhana is a methodised effort towards self-perfection, which brings to expression the latent, hidden potentialities of being. Success in this effort unifies the human individual with the universal and transcendental Existence. Integral yoga reunites "the infinite in the finite, the timeless in the temporal and the transcendent with the immanent. Sri Aurobindo discerns three types of being, namely the Outer being, the Inner being, and the Psychic Being. The Outer Being includes the physical, vital and mental levels of Being, which characterises our everyday consciousness and experience. It includes several levels of the subconscient: a mental subconscient, a vital subconscient, and a physical subconscient, down to the material Inconscient. [web 1] Integral Yoga involves going beyond this surface consciousness to the larger life of the Inner Being, which is more open to spiritual realisation. The Inner Being, or Subliminal, includes the inner realms or aspects of the physical, vital and mental being. They have a larger, subtler, freer consciousness than that of the everyday consciousness. Its realisation is essential for any higher spiritual realisation. The Inner Being is also transitional between the surface or Outer Being and the Psychic or Inmost Being. By doing yoga practice (sadhana), the inner consciousness is being opened, and life turns away from the outward to the inward. The inner consciousness becomes more real than the outer consciousness, and becomes a peace, happiness and closeness to the Divine. The Psychic Being is Sri Aurobindo's term for the Personal Evolving Soul, the principle of Divine spirit in every individual. [note 1] The Psychic is the "Innermost Being",[note 2] the permanent being in us that stands behind and supports the physical, vital and mental principles. It "uses mind, life and body as its instruments," undergoing their fate yet also transcending them. In Integral Yoga the goal is to move inward and discover the Psychic Being, which then can bring about a transformation of the outer nature. This transformation of the outer being or ego by the Psychic is called Psychicisation; it is one of the three necessary stages in the realisation of the Supramental consciousness. This Psychic transformation is the decisive movement that enables a never-ending progress in life, through the power of connecting to one's inner spirit or Divine Essence. The Psychic begins its evolution completely veiled and hidden, but grows through successive lifetimes, and gradually exerts a greater influence, taking on the role of spiritual Guide. The levels of being ascend from the inconscient to the Supermind. The physical, vital and mental levels of being contain both a subconscient and a subtle or subliminal part. According to Sri Aurobindo, the body is partly a creation of the inconscient or subconscient. According to The Mother, the ordinary, false consciousness, which is common to material body-consciousness, is derived from the subconscient and the inconscient. According to Aurobindo, the outer being depends on the subconscient, which hinders the spiritual progress. Only by living in the inner being can this obstacle be overcome. The subtle or subliminal is the subtle, higher counterpart of the subconscient. According to Sharma, "it has an inner mind, an inner vital being, and an inner subtle physical being, wider than man's consciousness." It can directly experience the Universal, and "it is the source of inspirations, intuitions, ideas, will [...] as well as [...] telepathy [and] clearvoyance." The gross body commonly referred to in yoga constitutes mainly of two parts the material physical body (annakosha) and the nervous system normally refer to as vital vehicle (Prana kosha) in Integral yoga. The Vital level of the being refers to the life force, but also to the various passions, desires, feelings, emotions, affects, compulsions, and likes and dislikes. These strongly determine human motivation and action through desire and enthusiasm. Unlike Western psychology, in which mind, emotions, instincts, and consciousness are all lumped together, Sri Aurobindo strongly distinguishes between the "Vital" and the "Mental" faculties. In addition to the individual Vital faculty, Sri Aurobindo refers to a Vital Plane or Vital world, which would seem to be partly equivalent to the Astral Plane of popular occultism and New Age thought. Mind proper is the conceptual and cognitive mind. Mind is a subordinate process of the Supermind. It is the intermediary stage between the Divine and the mundane life. It works by measuring and dividing reality, and has lost sight of the Divine. It is the seat of ignorance, yet it is still capable of an upward ascent toward the Divine. Unlike Western psychology, in which mind and consciousness are considered the same, Sri Aurobindo strongly distinguishes between the "Mental" and the "Vital" (emotional) faculties, as well as between Mind and pure Consciousness. Sri Aurobindo in part bases his concept of the Mental on his reading of the Taittiriya Upanishad, the mental being (or perhaps just the Mental Purusha) is the mano-maya-atma - the self made of mind (manas). Higher Mind is the realm of Truth-thought. It can hold a wide range of knowledge in one vision and an integral whole. [note 7] It receives illumination from the Illumined Mind, and is not dependent on the limited knowledge of the senses. It is also capable of transforming the lower realms of body and mind, effectuating change sof habit and life. Nevertheless, it is still a state of thought, in contrast to Illumined Mind, which is a state of vision and spiritual insight. Illumined Mind is the mind of sight and vision. It transformes the Higher Mind by providing it a direct vision. Intuition provides the illumination of thought and vision to the Higher Mind and the Illumined Mind. Mundane mind may experience intuition too, but in the higher realms of mind it becomes more frequent an dstable. Supermind is the infinite unitary Truth Consciousness or Truth-Idea beyond the three lower planes of Matter, Life, and Mind. Supermind is the dynamic form of Sachchidananda (Being-Consciousness-Bliss), and the necessary mediator or link between the transcendent Sacchidananda and the creation. Humans are stuck between matter and Spirit, due to the habits of personality and partial awareness, which arise from Ignorance. Humans are accustomed to respond to certain vibrations more than other. These customs develop into one's desire, pain, feelings, which are all a set of habits. This crystallised set of habits becomes one's personality. This is normally believed to be "self". The appearance of stable personality is given by constant repetition and recurrence of the same vibrations and formations. Partial Self-awareness: humans are only aware of a small part about themselves. They are aware of the surface of mentality, physical being, and life, and not of the larger and more potent subconscious mind and hidden life impulses. Partial awareness of other beings: humans create a rough mental construction of their fellow beings. Their understanding is created by a mental knowledge, which is imperfect, and subjected to denial and frustration. This partial awareness can be overcome by a conscious unity. This unity can only be achieved from Supermind. A division between Force and consciousness in evolution: matter, life and mind are often warring with each other. Materialists try to resolve this war by submitting oneself to the mortality of our being, while ascetics have tried to reject earthly life. A true solution may lie in finding the principle beyond mind, thereby overcoming the mortality of our existence. The fundamental cause of falsehood, error and evil is Ignorance. Ignorance is a self-limiting knowledge, which arises with exclusive concentration in a single field. According to Sri Aurobindo, human notion of good, bad & evil are uncertain and relative. Unlike other Yoga practices Integral yoga does not propose any kind of physical asanas, breathing techniques or external movements. It is more psychological in nature, with internal reflection and self-analysis & correction as main tools of development . Psychicisation is a turn inward, so that one realises the psychic being, the psychic personality or Divine Soul, in the core of one's being. The Divine Soul serves as a spiritual Guide in the yoga, and enables one to transform the outer being. It may also help avoid the dangers of the spiritual path. There is an intermediate zone, a dangerous and misleading transitional spiritual and pseudospiritual region between the ordinary consciousness and true spiritual realisation. Psychisiation consists of three methods. In "consecration" one opens oneself to the Force before engaging in an activity. "Moving to the Depths" (or "concentration") is a movement away from the surface existence to a deeper existence within. "Surrender" means offering all one's work, one's life to the Divine Force and Intent. Guided by the evolving divine soul within, the sadhak moves away from ego, ignorance, finiteness, and the limitations of the outer being. It is thanks to this guidance by the Divine Soul that the sadhak can avoid the pitfalls of the spiritual path. As a result of the Psychicisation, light, peace, and power descend into the body, transforming all of its parts, physical, vital, and mental. This is the Spiritual transformation, or Spiritualisation, the concretisation of the larger spiritual consciousness. It is equivalent to "enlightenment", as found in Vedanta and Buddhism. Sri Aurobindo asserted that spiritual aspirants may pass through an intermediate zone where experiences of force, inspiration, illumination, light, joy, expansion, power, and freedom from normal limits are possible. These can become associated with personal aspirations, ambitions, notions of spiritual fulfilment and yogic siddhi, and even be falsely interpreted as full spiritual realisation. One can pass through this zone, and the associated spiritual dangers, without harm by perceiving its real nature, and seeing through the misleading experiences. Those who go astray in it may end in a spiritual disaster, or may remain stuck there and adopt some half-truth as the whole truth, or become an instrument of lesser powers of these transitional planes. According to Sri Aurobindo, this happens to many sadhaks and yogis. Supramentalisation is the realisation of the Supermind, or Supramental consciousness, and the resulting transformation of the entire being. Psychicisation and spirtualisation serve as necessary prerequisites for the Supramentalisation of the entire being. The supramental transformation is the final stage in the integral yoga, enabling the birth of a new individual, fully formed by the supramental power. Such individuals would be the forerunners of a new supra-humanity, grounded in truth-consciousness. All aspects of division and ignorance of consciousness, at the vital and mental levels, would be overcome, and replaced with a unity of consciousness at every plane. And even the physical body transformed and divinised. A new supramental species would then emerge, living a supramental, gnostic, divine life on earth. Siddhi (realization), which consists of shuddhi (purification), mukti (liberation), bhukti (enjoyment), and siddhi (realisation of yogic powers). Sri Aurobindo had a strong influence on Ken Wilber's integral theory of spiritual development. Wilber's Causal and Ultimate stages closely resemble Aurobindo's higher mental stages, but Wilber lumps together levels of Being, types of Being and developmental stages. ^ According to The Mother, the term "Psychic" or Psychic Being is derived from the occult kabbalistic teachings of Max Théon. Sri Aurobindo distinguishes between the Psychic Being as being defined in his Integral Yoga, and the ordinary meaning of "psychic," which refers more to psychological phenomena, or to paranormal phenomena, which are connected with the subtle physical layers. ^ According to Pani, the inconscient is the same as the western psycho-analytic unconscious mind, while the subconsciousness is another layer of consciousness. the Physical Proper or pure body consciousness, which represents the consciousness of the external physical body itself. the True physical being - is the Purusha of the physical level, which is like the Inner Physical larger than the surface body consciousness and in touch with the a larger spiritual consciousness. ^ Aurobindo: "By the gross physical is meant the earthly and bodily physical - as experienced by the outward sense-mind and senses. But that is not the whole of Matter. There is a subtle physical also with a subtler consciousness in it which can, for instance, go to a distance from the body and yet feel and be aware of things in a not merely mental or vital way. ...the subtle physical has a freedom, plasticity, intensity, power, colour, wide and manifold play (there are thousands of things there that are not here) of which, as yet, we have no possibility on earth." The Mechanical Mind is a much lower action of the mental physical which when left to itself can only repeat the same ideas and record the reflexes of the physical consciousness in its contact with outward life and things. Mind in the physical or mental physical mentalises the experiences of outward life and things, sometimes very cleverly, but it does not go beyond that, unlike the externalising mind which deals with these things from the perspective of reason and its own higher intelligence. Physical Mind - refers to either or both the Externalising Mind and the Mental in the Physical; it is limited to a physical or materialistic perspective, and cannot go beyond that, unless enlightened from above. Mind of Light - according to The Mother this is the Physical Mind receiving the supramental light and thus being able to act directly in the Physical. Mind Proper - is free-fold, consisting of Thinking Mind, dynamic Mind, externalising Mind. It constitutes the sum of one's thoughts, opinions, ideas, and values, which guide conscious thinking, conceptualizing and decision-making processes, and is transformed, widened, and spiritualised through the practice of Integral Yoga. Dynamic Mind - that aspect of the ordinary mind that puts out of mental forces for realisation, acting by the idea and by reason. It is also equated with the Ajna or Brow center. Higher Mind - the first and lowest of the spiritual mental grades, lying above the normal mental level. Spiritual Mind - either the spiritualised mind, or a general term for levels of mind above the normal mental level (the "Mind Proper"). True mental being - is the Purusha of the mental level freed from the error and ignorance of the lower Prakriti and open to the knowledge and guidance above. ^ A detailed description of the Overmind is provided in Book I ch.28, and Book II ch.26, of Sri Aurobindo's philosophical opus The Life Divine. ^ This is described in The Life Divine part 2, ch.25, and Letters on Yoga part 4, section 1. ^ Sri Aurobindo (1939), p. 1107. ^ Sri Aurobindo (1939), pp. 7-11. ^ Sri Aurobindo (1939), p. 9. ^ Sri Aurobindo (1939), p. 10. ^ Sri Aurobindo (1939), p. 13. ^ Sri Aurobindo (1939), p. 7. ^ Sri Aurobindo (1939), pp. 13-28. ^ Sri Aurobindo (1939), p. 25. ^ Sri Aurobindo (1939), p. 32. ^ Sri Aurobindo (1977), The Life Divine bk II, ch.27-28. ^ a b c Giri 2014, p. 59. ^ a b c Miśra 1998, p. 414. ^ Vrinte 1996, p. 140. ^ Sri Aurobindo (1996), p. 6. ^ a b c d Sharma 1991, p. 63. ^ Vrinte 2002, p. 235. ^ Wilber 1992, p. 263. ^ Pani 2007, p. 132. ^ The Mother 1961, p. 199. ^ Pani 2007, p. 211. ^ a b Pani 2007, p. 297. ^ Sharma 1992, p. 61-63. ^ Sharma 1992, p. 61. ^ The Mother 1961, p. 50. ^ a b Sri Aurobindo 1988. ^ a b Sharma 1991, p. 61. ^ Pani 2007, p. 207. ^ Aurobindo (1996), p. 10-11. ^ Chakravorty 1991, p. 42. ^ Chakravorty 1991, p. 40-41. ^ Chakravorty 1991, p. 41. ^ a b c d Chakravorty 1991, p. 43. ^ a b Chakravorty 1991, p. 45. ^ a b c Chakravorty 1991, p. 47. ^ Chakravorty 1991, p. 49. ^ Sri Aurobindo (1996), pp. 2-30. ^ Sri Aurobindo (1996), p. 611. 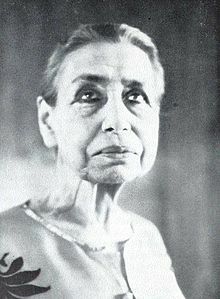 Miśra, Rāmacandra (1998), The Integral Advaitism of Sri Aurobindo, Motilal Banarsidass Publ. ^ a b c d e Satprem, Sri Aurobindo or the adventure of consciousness. This page was last edited on 5 February 2019, at 15:26 (UTC).